Canvas Art Wall Prints by Art By People - www.artbypeople.co.uk: Want a banksy canvas? Dont buy a ripped off print. Buy original street art on canvas. 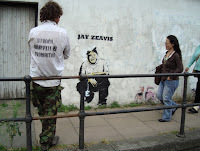 Want a banksy canvas? Dont buy a ripped off print. Buy original street art on canvas. from Syd TV. They are all signed by the artist and you never know.... could be worth something in a few years time. 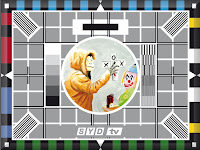 You can see more of his art adventures at his website channel Syd TV. Loans for automobile headline loans unit of activity typically for fewer than thirty days and alter a high rate of interest. Debtors offer the headline of payday loan mobile their automobile as security for the short loan. If the patron is unable to pay off the loan, then the capitalist can take possession of the automotive and sell it so on recover the number borrowed. Syd TV in the press. Thoughts and theories about the world of art by the directors of www.artbypeople.co.uk. Some stuff random some stuff related to our business. Created to inform and entertain. We hope it gives you a flavour of our artistic direction. Our roots are from the art world, not the printing world after all. A description of the fun & challenges encountered when breeding English Springer Spaniels. Mountain Bike Canvas Art - Off the wall or what?